Like an omen, rain poured Friday night tapering off as daylight came. 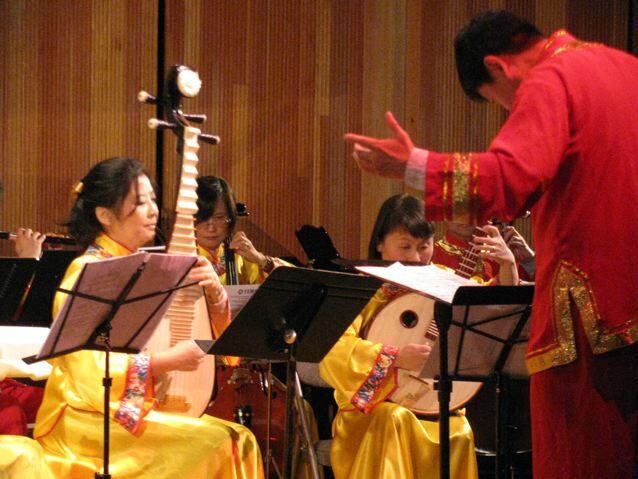 Saturday, January 21, was the local celebration of the Chinese New Year sponsored by the Santa Barbara Chinese-American Association (SBCAA). In Chinese Zodiac, 2012 (January 23, 2012 to February 9, 2013) is year of the yang water dragon which contains earth, water, and wood signifying growth. It occurs every 60 years (the next one is 2072) – from the east/southeast in the hours of 7 to 9 in the morning, associated with daytime masculinity, speed, solidity, aggressiveness, the elements of thunder and lighting, the best in creativity, and accumulation of wealth. Neil Chu, a Mesa resident and president of SBCAA, welcomed the guests to the Fe Bland auditorium at SBCC West Campus, where for the second year the celebrations were held. 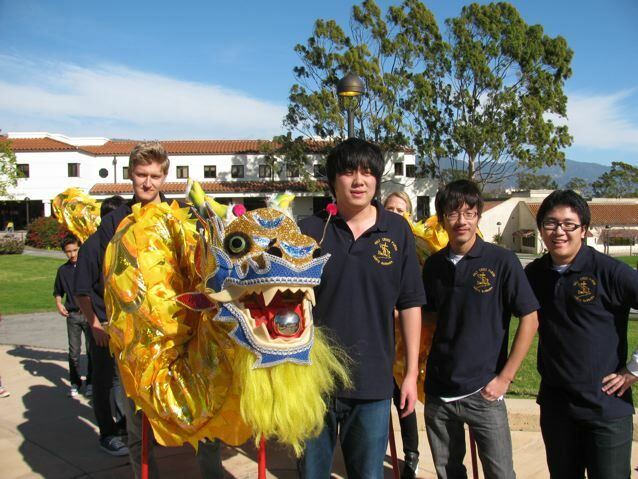 “We are happy that we were able to replace the worn 20-year-old dragon with a new one from China, thanks to donors such as Santa Barbara Bank & Trust,” he said. Mayor Helene Schneider joined the local Chinese-Americans, sharing tidbits about the legendary animal symbol and recalling her visit in Weihai, Santa Barbara’s sister city in China’s Shandong Province. 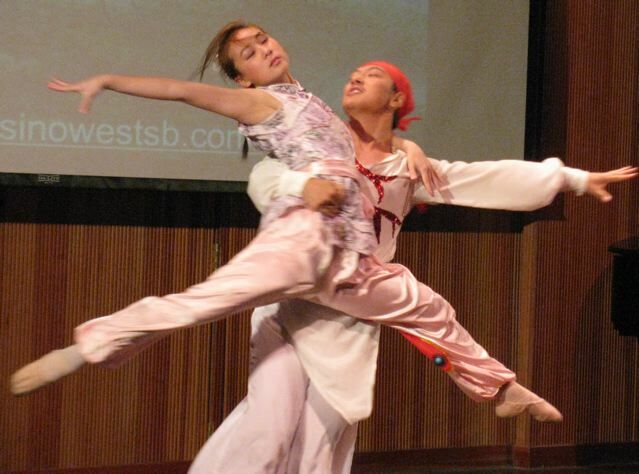 Featured were a dance duet from Sino West Studio, Crouching Tiger Hidden Dragon with Vicky Wang and Dragon Sun, who also performed the Terra Cotta warrior dance; an alto solo by Guan Hao; a Tai Chi performance, calligraphy; the Santa Barbara Hua Sheng Chorus with the song of Yangzi River and their female members with O Mio Babbino Caro; World Dance Santa Barbara with Colored Clouds chasing the Moon; the Thousand Oaks Chinese Music ensemble with traditional Chinese instruments; an instrumental duet by Joel Tan(violin) and Nathan Tsai (piano); a soprano solo by Ling Zhu; and a tenor trio by Jay Yang, Tao Chen, and Wen Yuan Xia. It was truly heart-warming for the local Chinese-American community and their many friends who came to celebrate together. The actual New Year was Monday, January 23rd – and it was rainy!